Hope you are doing great. This year I visited Creativation (also known as CHA) which happened the last weekend. It had been one of the biggest dreams for me to visit this show, since I started paper crafting back in Ukraine. I wanted to babble about my experience there, but it would be too much text. Let me know if you like me to tell about Creativation and I will create a separate post for it. 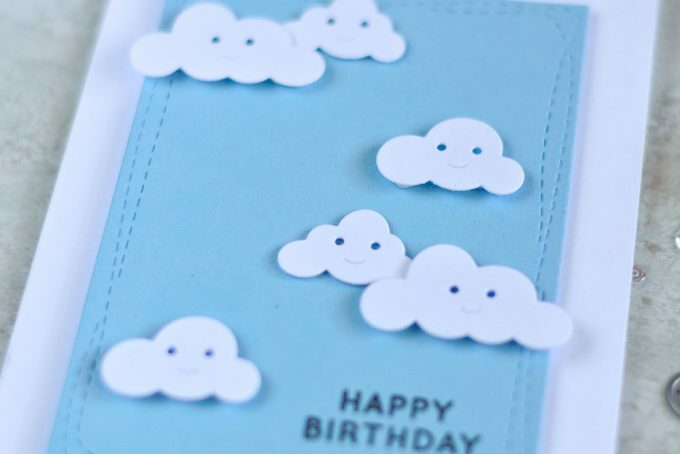 These clouds are so happy that you don’t really have other options but creating something cheerful and cute. The card itself is very simple as you can tell. 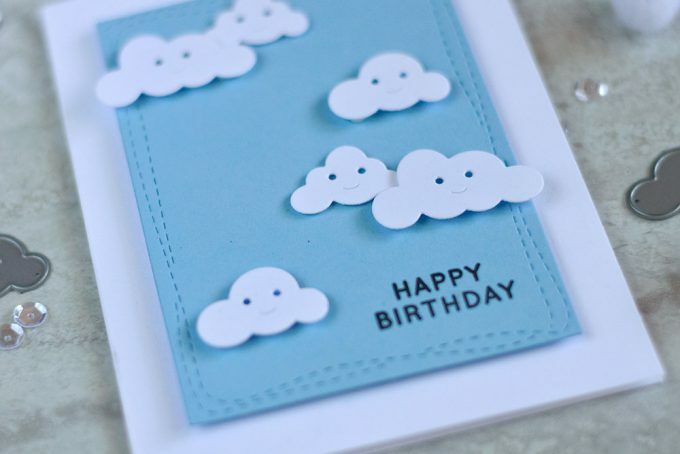 I started by die-cutting a panel out of powder blue cardstock using SSS Wonky Rectangle Die. 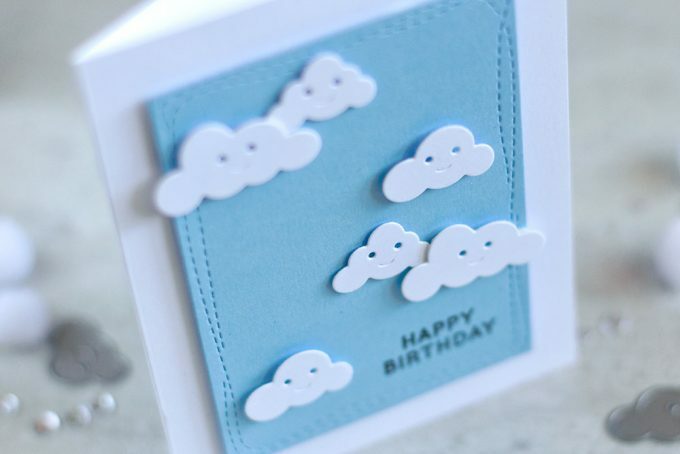 Along with die-cutting clouds out of white cardstock. I stamped a sentiment in black in the bottom right part of the panel and foam mounted it onto a white card base. 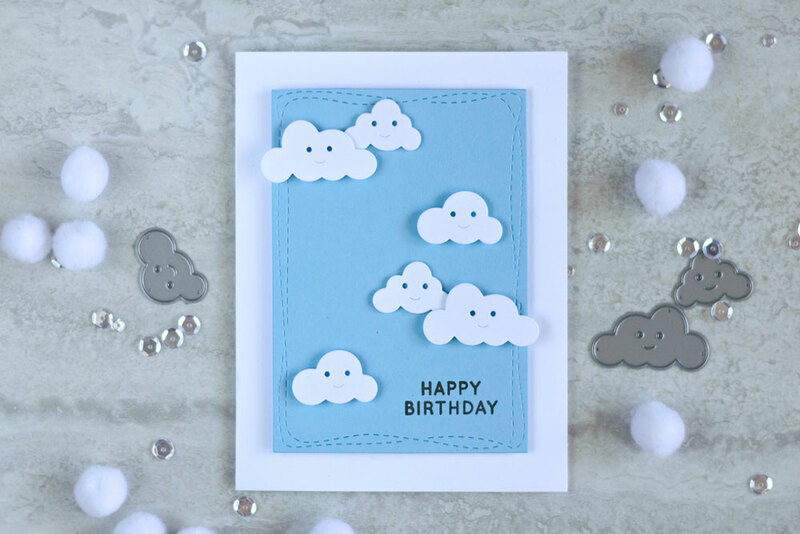 Lastly I foam mounted all clouds onto the panel which finished off the card. For mounting I used foam squares both regular and thin. To place could on different height. I mentioned it many times and will do in future – thin foam squares are a must in my craft room. They are twice “shorter” (if that is correct word) than regular one and can come in handy in many situations. Have a wonderful rest of weekend and a productive next week! 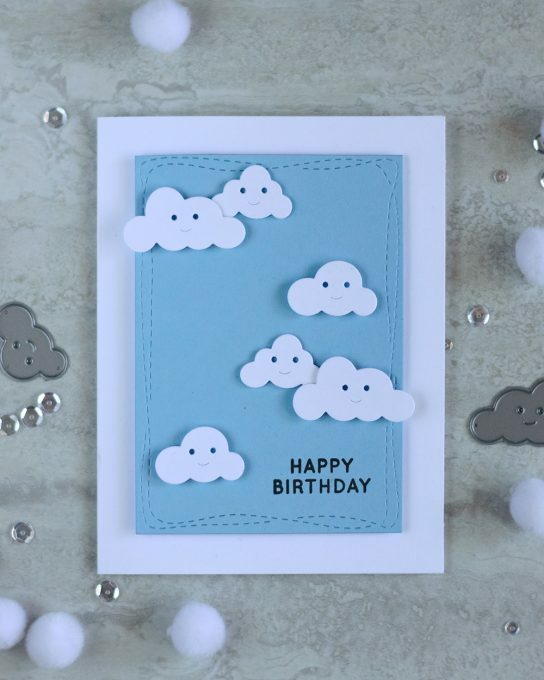 I adore this card, it did come out cute! I do love your cards! Открыточка и правда прям-таки кавайная! Милашество, но все-таки твоя строгость форм и геометрия тоже угадывается. Света, легкая и такая умиротворяющая открытка! Открытка ну очень милая, такие смешные облака! А про ча конечно ждем рассказов и фоточек!